Any agreement between The U.S. Will Registry, Inc. (referred as Company) and Attorney (or Legal Firm) is solely for the purpose of advertising and both the Attorney and Company agree and acknowledge that no business relationship and or partnership is formed outside of paid advertising. 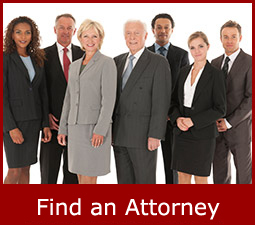 -As a result of his or her listing on the Company's website, that the Attorney's name and contact information will be listed on the Company's website under the tab named "Find an Attorney". -It is the Attorney's responsibility to keep the Company updated with any and all contact information in order for the website to accurately reflect accurate contact information. -The Attorney acknowledges that depending on the State where they are licensed, the Company may be required to furnish the Bar, the names and bar membership numbers of all lawyers participating in the service. 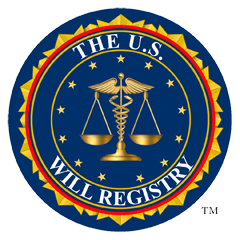 -The U.S. Will Registry, Inc. does not track referrals or business leads to attorneys. -The Company does not and will not represent to or imply to the public that any specific attorney's service is endorsed or approved by the Company or any State Bar Association. All print, names, forms, and logo's contained on The U.S. Will Registry's website are protected by U.S. copyright and trademark laws. The U.S. Will Registry's has been developing its business methods in privacy and continues to protect its trade secrets by purposely maintaining a database of all The U.S. Will Registry's drafts and/or designs for the purpose of furthering The U.S. Will Registry's business. The U.S. Will Registry had taken great caution in only allowing a small number of persons to have the knowledge of how the company works, operates, builds, and plans to expand its business. Any use of any materials within The U.S. Will Registry's website is prohibited and permission to use these materials must specifically be granted in writing.